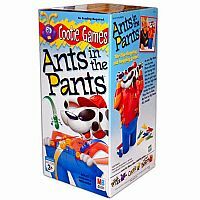 Especially appealing to energetic little critters, the classic toddler game Ants in the Pants requires no reading or waiting for turns. It's "One--two--three--Go!" and everyone is racing to pop all four of their bugs into Fido's bloomers. It's that simple. Plastic "ants" are big enough (2.5 inches) that even little fingers find it easy to perform feats of insect trajectory. 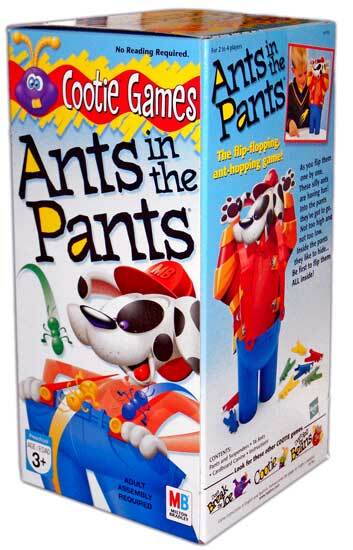 One by one, flip all the ant pieces inside the dog's pants. Whoever gets them all inside first wins!